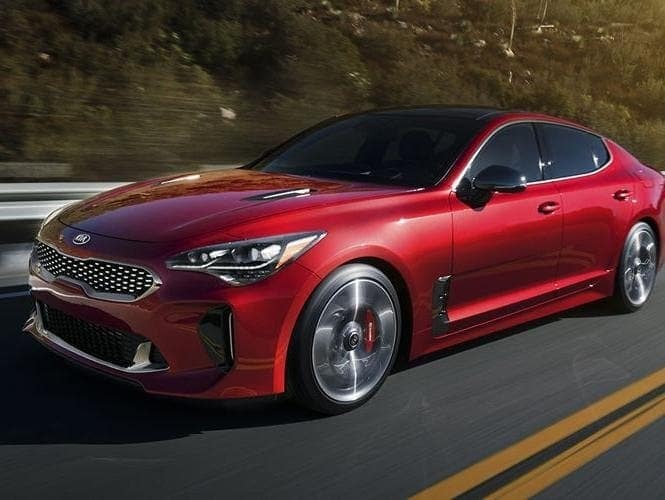 Since the Kia Stinger GT arrived at the Spitzer Kia Cleveland showroom, customers almost always ask about the exciting new sports sedan – even if they came in to look at a different model. Several automakers have been remarketing some of their existing sedan platforms as being sportier and beefing up performance scores. The Stinger GT was built from the ground up to be a high-performer as well as being tested and developed at one of the most storied race tracks in Europe. To help potential buyers get a clearer vision of what the innovative sedan has to offer, the product experts at Spitzer Kia Cleveland have done a head-to-head comparison of the 2018 Kia Stinger GT vs. 2018 Nissan Maxima. 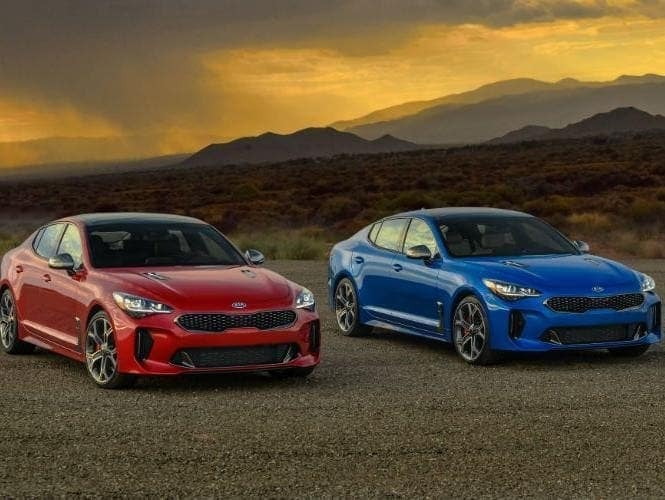 The two sedans have a few similarities, but the differences in favor of the Stinger GT will likely draw traditional Nissan buyers into the Spitzer Kia Cleveland showroom. Nissan has certainly given the current Maxima model its best shot to succeed as a sport sedan, but the 2018 Kia Stinger GT simply overwhelms it. 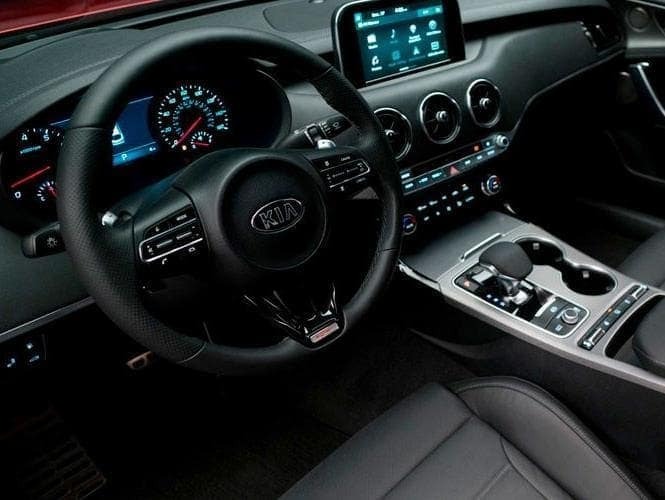 Both models use powerful V-6 engines, but Kia has gone the extra mile to support all of that performance. 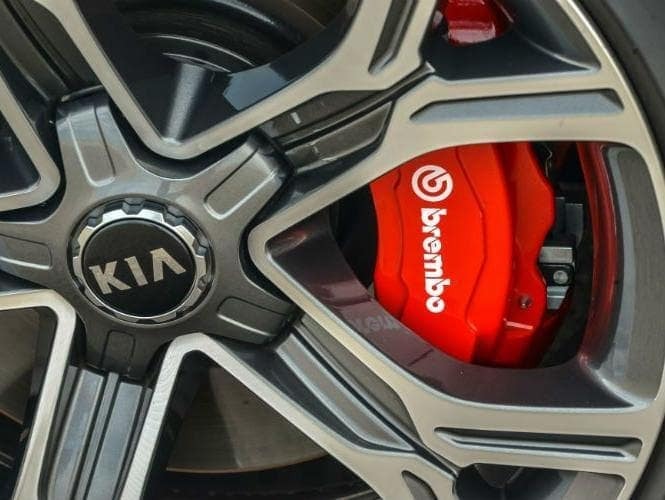 Buyers interested in the Stinger GT will ride on 19-inch wheels and have adaptive suspension dampers to smooth out the ride and allow for a bit more of an aggressive handling profile through corners, compared to the aging Maxima platform. Additionally, the 2018 Stinger GT also has a launch control system, found on many modern high-performance models as well as variable steering ratios. All of this supports the racing-DNA exhibited by the new Stinger GT. The Stinger GT is actually available in two sub-trims, GT1 and GT2. Depending on which is driven home, the car will offer exciting technology like color heads-up display. The main event in the battle between the 2018 Kia Stinger GT vs. 2018 Nissan Maxima is how much performance each sedan produces. Under the hood of the 2018 Stinger GT uses a twin-turbocharged, 3.3-liter, V-6 engine and is attached to a precise eight-speed automatic transmission. When a Stinger GT driver engages the accelerator, they will be able to use 365 horsepower and 376 pound-feet of torque. On the other side of the equation, is the 3.5-liter, V-6 engine with a peak output of 300 horsepower and 261 pound-feet of torque. There are several factors that could be at play to account for the differences in performance. The most obvious being the choice of transmissions being employed. While the Stinger GT is equipped with an eight-speed automatic transmission, Nissan has chosen a continuously variable transmission. This might make the Maxima a bit friendlier for fuel, but it certainly has some consequences in terms of performance.